When it comes to certified refinishing, our team gets the job done. We restore your vehicle’s appearance and maintaining that showroom feel. Our certified refinishing specialists bring your car back to life with beautiful paint jobs. 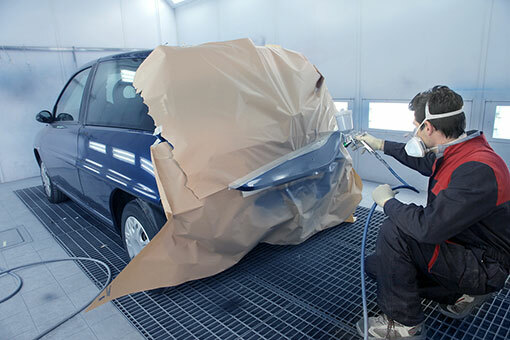 DG Auto’s expert technicians use PPG Computerized Paint Mixing technology, applying each coat with extreme care. PPG offers two-stage finishing for durability and color match with chip-resistant coatings. This ensures your new paint job looks great for a long time! In addition, it will look great and be authentic to the original color. PPG Automotive Refinish products are the most innovative, industry-compliant on the planet. Widely recognized as the most comprehensive training, products, and software in the automotive industry. From base coats with anti-settle technology to Envirobase high-performance coatings, PPG has it covered. In addition to corrosion-resistant undercoats and vinyl restoration, they offer innovation. PPG products are simply the best. And our customers deserve the best. We are here to serve you! Our certified refinishing services in Downers Grove are top-notch. We listen. As a result, we often exceed expectations. The care that goes into your vehicle will be obvious. Contact us today for a free quote.